Uwinkindi – the former head of a Pentecostal church on the outskirts of the capital, Kigali – had opposed his transfer. 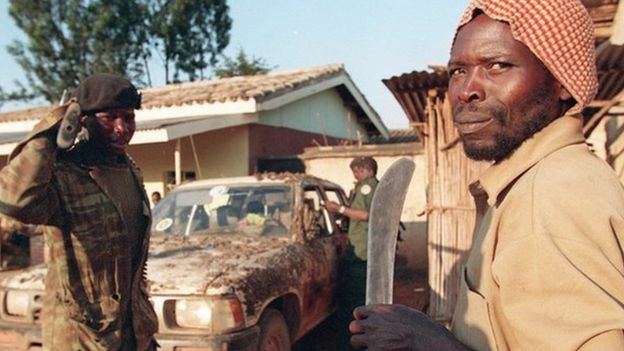 “The court finds that there were killings of the Tutsi at Rwankeri and Kanzenze hills and that the attacks were led by Uwinkindi,” said Judge Kanyegeri Timothee, Reuters news agency reports. 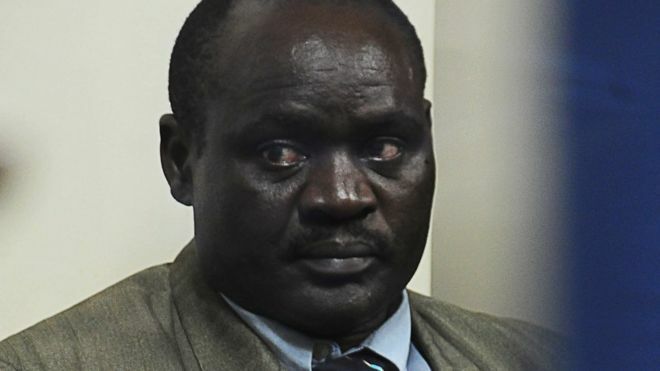 He was indicted in 2011 after he was arrested in 2010 in neighbouring Uganda. Another key suspect, Ladislas Ntaganzwa, who has a $5m (£3.2m) US bounty on him, was arrested two weeks ago in neighbouring Democratic Republic of Congo. Posted on 30th December 2015 by newsafrica. This entry was posted in Africa, Christainity, Religion and tagged Constitutional amendment, Democratic Republic of the Congo, Hutu, Kigali, Paul Kagame, Rwanda, Rwandan Genocide, Rwandan Patriotic Front, Term limit, Tutsi. Bookmark the permalink.